Soak the soya chunks in hot water for 30 mins. Squeeze out the water and cut the chunks into two halves. 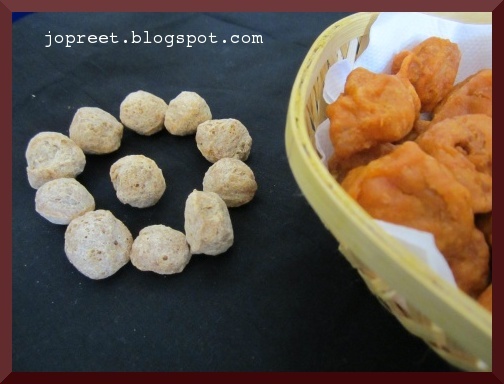 Combine all the above mentioned ingredients except soya chunks in a mixing bowl. Mix all and form a thick paste adding little water. Keep it aside for 10 mins. Heat oil in a kadhai. Dip the chunks in besan paste and coat it fully. Drop in the oil one by one. Fry till it turns golden brown and remove from the heat. Drain the excess oil using absorbent tissue paper. Serve hot. I made it. 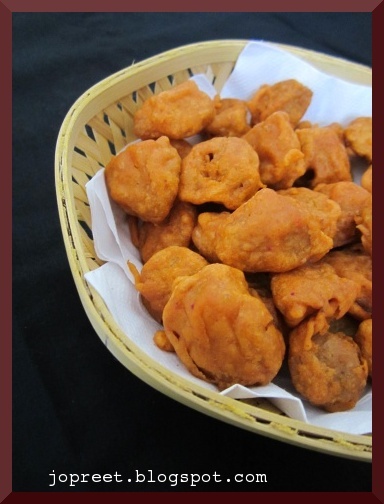 Very delish, crisp and irresistible one. Love this! a must try. 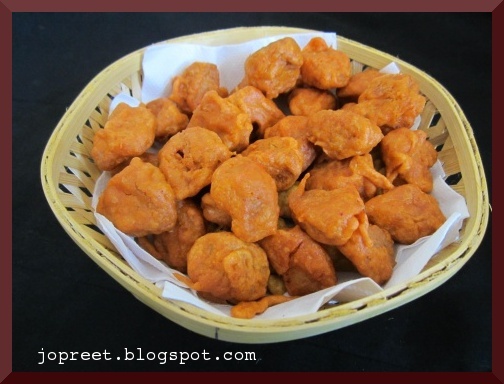 Soya chunk pakoda looks delicious. I used soya chunks regularly till my daughter developed a allergy to soya. This looks SO good! I haven't fried anything in such a long time! Superb! I love this dish. So crunchy and delicious. 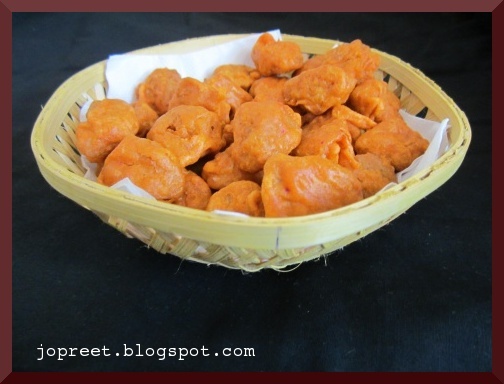 Delicious looking pakodas with soya chunk…..
actually i dont like soya chunks but this seems to be yummy preethi!